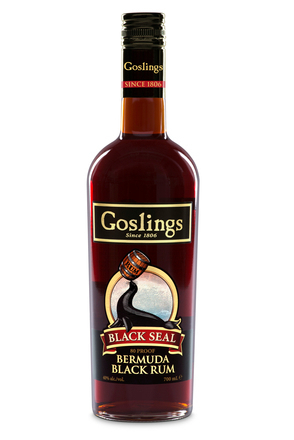 Goslings Black Seal is a full-flavoured dark, barrel-aged rum blended in Bermuda from three distinctly different, imported triple pot distilled rums. 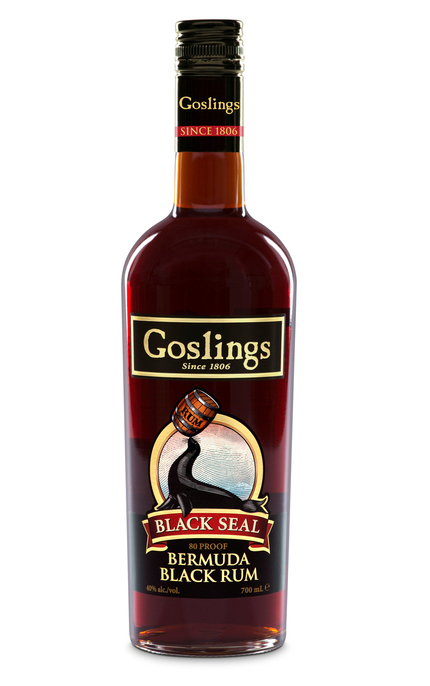 The rum is then aged for 3 to 6 years in re-charred American oak barrels previously used to age bourbon. 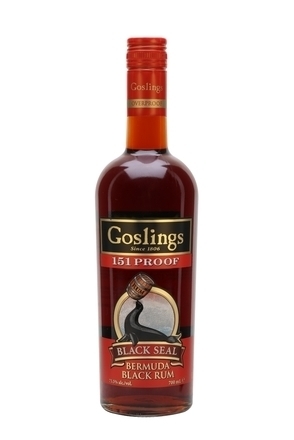 Goslings rum is Bermuda’s largest export. In the spring of 1806 James Gosling, a London wine and spirits merchant, chartered the ship Mercury, loaded it with £10,000 worth of merchandise, and sent his eldest son James to set sail for America. After ninety-one desperate days on rough seas the charter ran out and they put into the nearest port, St. George’s, Bermuda. Determined to make the best of the situation he found himself in, James opened a shop on the King’s Parade, St. George’s, in December 1806 to sell the goods he’d shipped from England. James returned to England in 1824 but his brother Ambrose took a shop on Front Street in the new capital of Hamilton. In 1857 the firm, know as Ambrose Gosling and Son, was renamed Gosling Brothers. 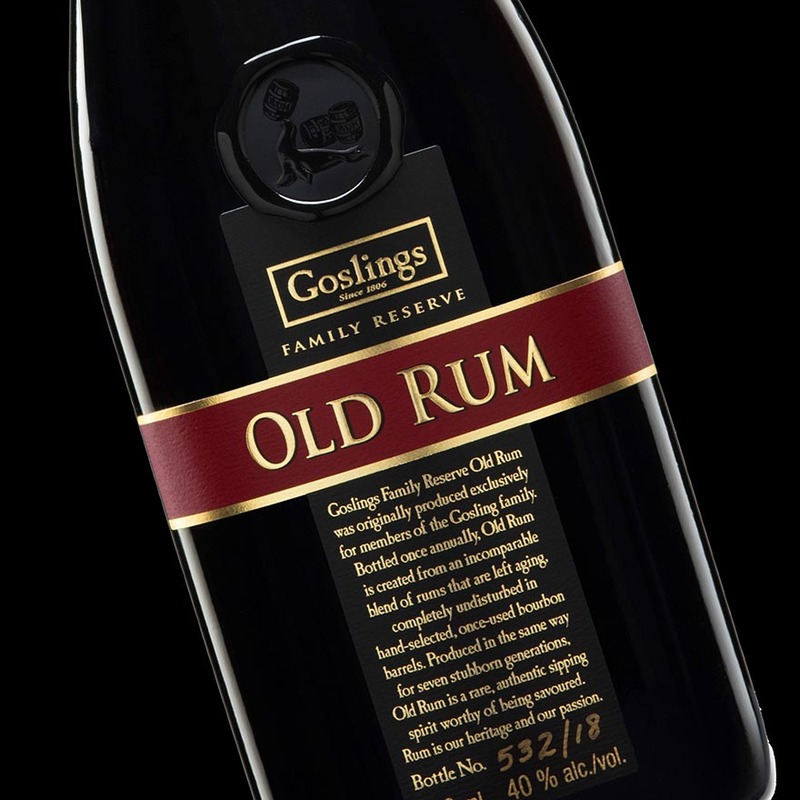 Sometime around 1860 the company imported the first casks of rum to Bermuda and created this distinctive dark blend, originally sold to locals at cask strength straight from the barrel it was simply called ‘Old Rum’. This continued until the First World War, when the company began filling champagne bottles reclaimed from the British Officer's mess. The corks were secured in place with the use of black sealing wax, prompting people to refer to the brand as ‘Black Seal’. 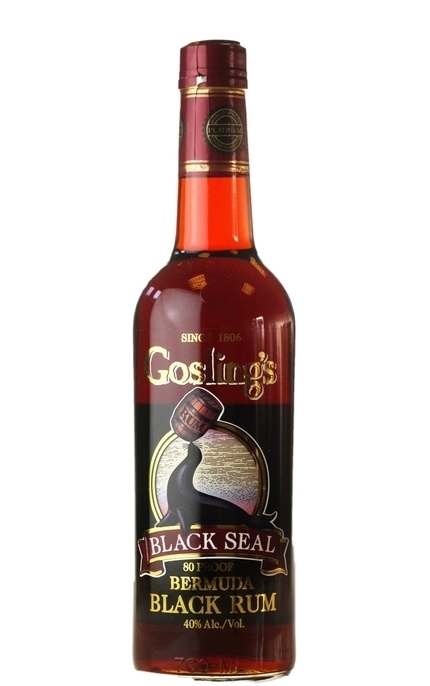 People began asking for the rum with the ‘black seal and eventually a play on words gave birth to the barrel juggling ‘Black Seal’ which still graces the label today. Clear, deep caramel amber with red tints. Pungent treacle, car tire, estery stewed fruit and banana cake with cinnamon spice. Dark muscovado sugar/treacle and spicy cinnamon with zesty orange and blackened fruit cake. Mouth drying burnt toast carbon finish with clove and burnt currants. Robust enough to stand the ginger beer in a Dark & Stormy. 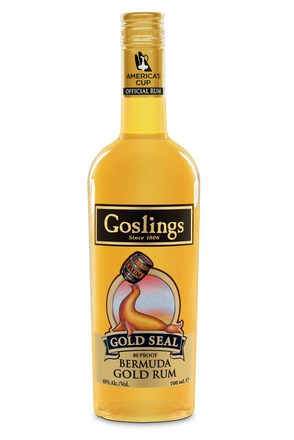 Gosling’s Gold Seal is a blend of pot and continuous still rums aged for up to 5 years in first-fill ex-bourbon casks.